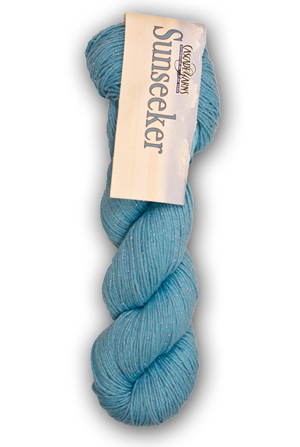 Dazzle everyone with Sunseeker®, a glitzy yarn made from cotton, acrylic and metallic thread. Perfect for creating lightweight projects with a unique twist. This machine washable and dryable yarn comes in a wide variety of rich colors with a subtle touch of metallic spun throughout. You will love the eye-catching quality of Sunseeker®. It is great for sweaters, hats, gloves, baby garments and much more! Store your masterpiece carefully; it may one day be a timeless family heirloom..